For all of us who work in the front end of the Internet world we are constantly amazed and enchanted by the new developments that arrive every day. New ways to interact with technologies such as AJAX that enable better user experiences, new ways to share with our friends through social networks and new ways to access services wherever we want via the iPhone and the slew of competitors that arose in its wake. But for all these exciting developments there’s been one thorn in our side for many years now – the continued presence of Internet Explorer 6 (IE6) visiting the sites we build. It was late August 2001 when Microsoft released IE6 to the world. At the time this was a life changing browser, releasing us from some of the earlier pain that IE5 held. Adoption was rapid, mainly due to the lack of competitive browsers at the time and IE6 being bundled with the Windows XP update. At its peak, it was estimated that IE6 accounted for upwards of 80% of all internet browsing. Now, with the ascendency of Firefox and other browsers including other versions of IE, its estimated that IE6 still accounts for between 15-25% of all global internet usage. A huge figure for software that is now eight years old and superseded by two new version now – both of which are free upgrades. The reason for this persistence is widely attributed to corporate installs of IE6. Businesses are slow to change desktop software, justifiably so one can argue due to the costs involved. For those of us who build sites and applications that target business users that means the pain of developing browser applications in IE6 will stay around for a while yet. All web developers know that supporting IE6 with its vagaries and non-consistent behaviours leads to a large extra effort in development and testing. Thankfully there are plenty of sites that help us all get round this issue – such as the excellent Quirks Mode. Now youTube is striking a blow against IE6, they have released a statement saying that support for IE6 will be phased out shortly. Now, if you browse to youTube with IE6 you are presented with a gentle prod to upgrade to a more modern browser, either Chrome, IE8 or Firefox. Of course being a Google service, Chrome is the first suggestion. I’m sure we can expect to see more of this now that a major site has made the first visible step, in perhaps what is the start of the death knell for IE6. May it rest in peace. 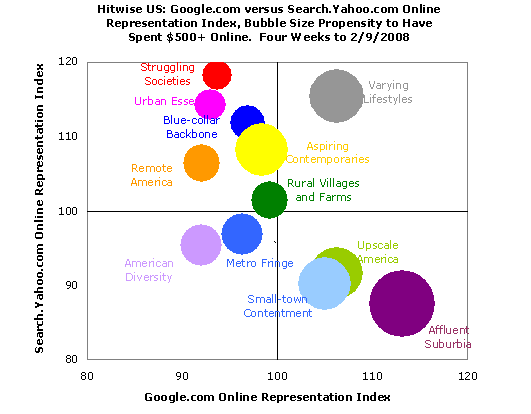 Social Relevancy – The Future of Contextual Search? ReadWriteWeb has a good article on the upcoming battle for dominance in search between Google and social upstarts Facebook. For most of us Google’s position as the ‘go to’ site on the web for searching is an ongoing certainty, we even use the phrase ‘to Google’ to indicate that we’re doing a search. However there are two fronts on which industry commentators are concerned that the search giant’s dominance may start to be challenged – the first is real time search, and the second is social relevancy. Twitter is the golden child of real-time search at the moment, with the bite-sized information posting rapidly lending itself to a global network of immediacy (and the usual increases in spam). Something posted on Twitter in the last few minutes is generally more relevant to a time based event than anything posted elsewhere on the web in the past, or in the next hour. Facebook has attempted to challenge Twitter’s fast rising star with it’s own interface re-tooling to use status updates in the same way, but status is ultimately a personal statement, whereas Twitter has left it very much to the user to decide what their Tweets are about. This search paradigm shift is ongoing, and will continue for a while. Google sits firmly at the bottom of this hierarchy – processing the crowd and its network of links with complex rules to provide us with quick and (generall) accurate responses. Facebook and other social networks, from the first days of Six Degrees, sit with the top two positions. This positions are hard for Google to gain a foothold in as the time and effort necessary to get people on-board and to build up an accurate social graph are large, and although Google has the resources the question remains as to whether Google’s brand perception amongst people is sufficient to create a Facebook ‘killer’. That’s not to mean Google isn’t trying to gain footholds into this market. They’ve supported open standards for creating semantic links describing relationships. They’ve bought out social networks of their own. They’ve even announced an advanced, in-browser UI (Google Wave) that lets you combine all your services in one place in real-time. Meanwhile Facebook still prevents Google and other search engines from spidering Facebook’s information and hence ascertaining a social graph of their own. Facebook want to own this space and won’t broker any deals that don’t help them reach this goal. This is an interesting transition and it’s still hard to say who will win. Google ousted the search incumbents under 10 years ago, and there’s nothing to stop them being ousted in turn. Interesting times lie ahead for search and for us in the world of networked services. Does Gmail Conflict with International Privacy Laws? An article from Canada’s Globe and Mail talks about some of the data privacy concerns facing Gmail users outside the US. Canada, like the UK and other countries outside of the US, has strong data protection laws for individuals. Canadian companies are required by law to keep user’s data private, and inform their users should any access occur. However Google is based in the US, and thus falls under the remit of the ever more evil and invasive US PATRIOT Act which allows the US Authorities to monitor, read and laugh at pretty much any email communication on a server in their jurisdiction. Companies that use Google’s corporate services to provide email and other capabilities to their employees could be falling foul of a mix of international regulations. This either makes their use of Google’s services untenable going forward, or maybe Google just needs to start fragmenting into localized companies to deal with this issue. I’m not sure if just hosting the mail servers in each country mitigates the legal issues, or whether the parent company being US based is the main requirement, but I suspect that overseas servers would at least make the US enforcement services need to get a warrant of some kind for suspected ‘terrorists’ rather than ‘all you can eat’ data access for the 99.9999999% of innocent people in the US.